Arkansas has some very spooky haunted places that you can visit and a few where you can conduct a paranormal investigation. From hotels, restored theaters, battlefields and museums, there's bound to be a ghostly experience tailored just for you. The apparition of a young woman with steel-blue eyes and fluffy blonde hair. A young girl in pigtails wearing a yellow dress is another spirt seen regularly. People witness orbs moving about, and the orbs are sometimes captured in photos. Eyewitnesses claim to have seen objects move. 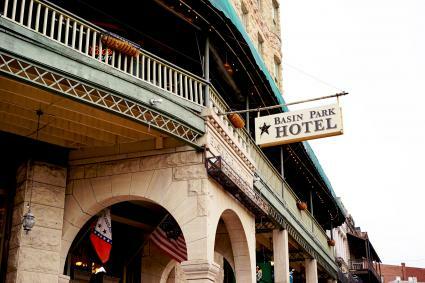 The guided Basin Park Hotel's "GHOST ADVENToUR" takes you through the hotel. You'll learn about the many colorful spirits haunting the premises. 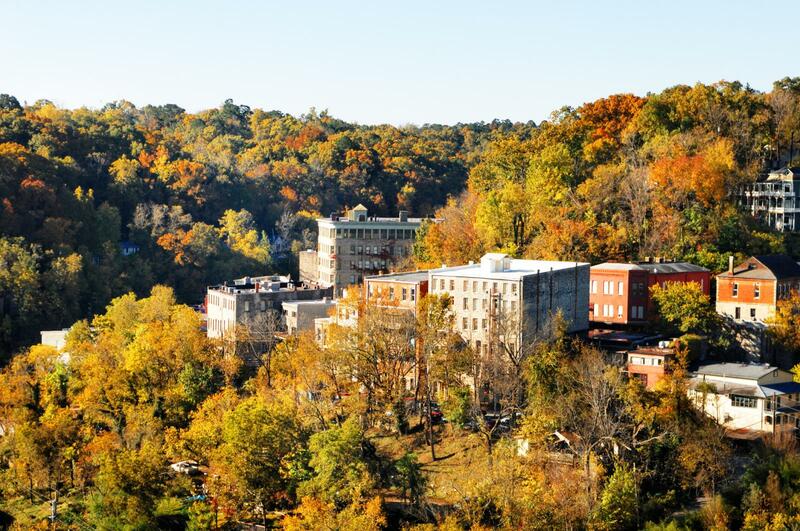 After the tour, you can participate in a guided paranormal investigation that gives you exclusive access to the hotel's rooftop and the underground cave. The tour starts at 8 pm Thursday through Saturday. Tickets for adults are $15, and $8 for children 12 and under. This tour isn't recommended for young children. People sometimes hear disembodied voices. There have been poltergeist incidences reported. Reports of screams coming from the building are heard when no one is in the building. The glowing apparition of a woman is seen here and in other areas of the city. The apparition of a woman appears in the basement and is believed to be the woman who was part of a magic show. Legend says she disappeared during the show and was never seen again. 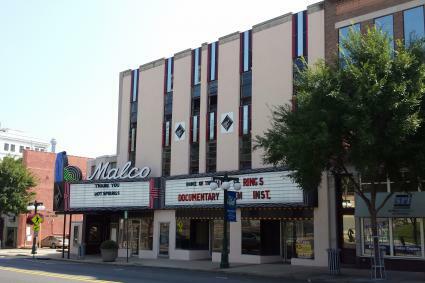 The theater is host to the annual Hot Springs Documentary Film Festival. At this time there are no paranormal investigation opportunities offered on the premises. The Prairie Grove Battlefield was the site of the one of the bloodiest Civil War battles in Northwest Arkansas. In the span of one day, 2,500 to 2,700 soldiers from the Confederate Army of the Trans-Mississippi and the Union Army of the Frontier died. Hundreds of bodies lay in the yard of the Borden family's home was the epicenter of the battle and burned to the ground. 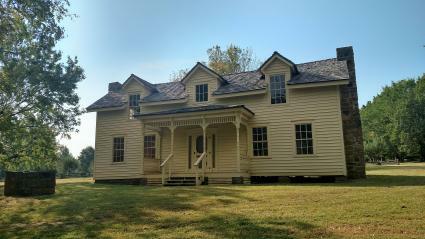 The family rebuilt the house in 1868. The Arkansas Paranormal Investigation team recorded an EVP telling them to go away. Visitors report hearing the clashing sounds of battle, such as gunfire, swords clanking, cannon fire, marching troops and stamping feet of snorting horses. Witnesses report seeing a little girl looking out the Borden House windows. Some people have heard disembodied footsteps following them. The Arkansas Paranormal and Anomalous Studies Team (ARPAST) place St Francis County Museum in the top ten haunted buildings in Arkansas. 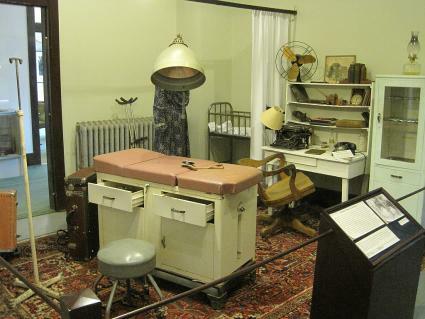 The St Francis County Museum was originally known as the Rush-Gates House, home of the surgeon, Dr. J.O. Rush. The doctor located the house near the railroad tracks for the ease of treating patients. Unfortunately, many died in his home and their spirits are believed to haunt the current museum. Workers in the museum have reported paranormal activity such as silhouettes in the windows and objects vanishing with no explanation. You can participate in a museum tour and a lock-in ghost hunting investigation. According to the Encyclopedia of Arkansas, local hotels partner with the museum to conduct haunted tours. You can also book private parties with professionals who train you how to conduct a paranormal investigation of the museum house. The Arkansas Air & Military Museum is located at Drake Field. 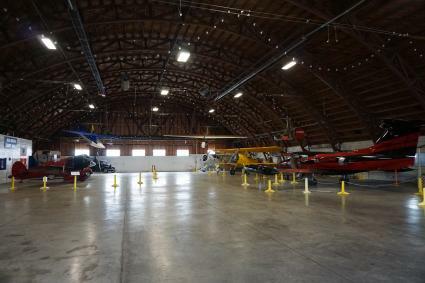 This historic hangar dates back to World War II and is one of a handful of remaining original structures in the US. It is also considered a highly active site for paranormal activity. Many people claim the museum is haunted by various ghosts attached to the planes from different eras. The spirit of what's believed to be an aviator haunts the museum library. The apparition has been seen by many visitors and workers. There's no shortage of spooky haunted places in Arkansas. Choose one or two that interest you and take advantage of any tours and ghost hunts offered for an authentic feel of the paranormal found in this state.